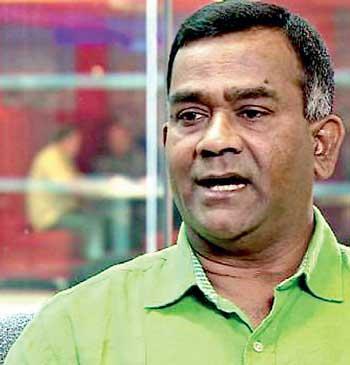 The case filed against former UNP General Secretary Tissa Attanayake for producing a forged document to the media during the last presidential election to create a negative impact on the then common candidate Maithripala Sirisena was postponed for April 4 as parties to the case are negotiating for an amicable settlement. Mr. Attanayake was accused of displaying such a document to the media during the last presidential election to incite racial or religious hatred among ethnic communities. He was indicted under the International Covenant on Civil and Political Rights (ICCPR). The Attorney General (AG) charged that the suspect had made a public announcement on December 22, 2014 that there was a secret agreement between the then common opposition candidate Maithripala Sirisena and UNP leader Ranil Wickremesinghe. This is an offense under the ICCPR Act which cites that no person shall propagate war or advocate national, racial or religious hatred that constitutes incitement to cause discrimination, hostility or violence. The AG said Mr. Attanayake had committed a punishable offence under the penal code by forging a document and displaying it to the public as genuine, and that the accused had also committed an offence under the Presidential Election Act for producing a fraudulent document prior to a poll. The AG has listed 15 individuals including President Maithripala Sirisena and Prime Minister Ranil Wickremesinghe as witnesses to the case.